AUT’s reputation as a contemporary university made it the right place for her doctoral study, says Dr Laksmi Yustika Devi who came to AUT as an international student from Indonesia. “AUT is a very progressive university in New Zealand. While AUT is a new university compared to others, it’s already demonstrating its academic excellence. For her doctoral research Laksmi explored the relationship between rural banks and regional economic growth and poverty reduction in Indonesia. 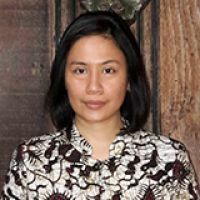 Her PhD research is designed to provide a better understanding of the evolution and development of rural banks in Indonesia and their contributions to the Indonesian economy, Laksmi says. The supportive and resourceful academic environment was a highlight of her studies, Laksmi says. “AUT has all resources required for postgraduate study. It was very helpful to conduct my PhD research in an environment where the university provides you with all the needed resources – from seminars to discuss the research progress to a well-resourced library, and helpful supervisors and staff. She feels honoured to see her hard work recognised with a lifetime membership of international honours society Beta Gamma Sigma, says Laksmi who completed her PhD in 2017.